Book Description: A handbook for faculty interested in practicing open pedagogy by involving students in the making of open textbooks, ancillary materials, or other Open Educational Resources. This is a first edition, compiled by Rebus Community, and we welcome feedback and ideas to expand the text. 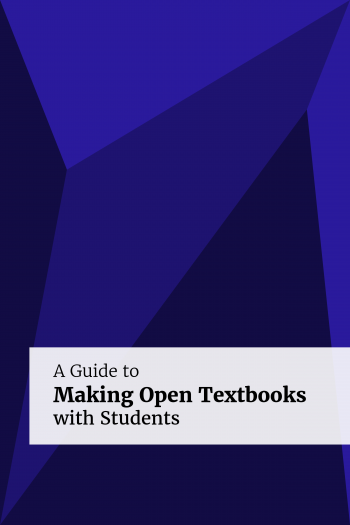 This book is a cloned version of A Guide to Making Open Textbooks with Students by Ed. Elizabeth Mays, published using Pressbooks by The Rebus Community for Open Textbook Creation under a CC BY (Attribution) license. It may differ from the original.